Please enter your details below; this is where we would contact you in the event that you are selected a winner. You must be a Canadian resident of legal age to enter. Stay Connected with Everything Reader's Digest! By entering this Prize draw entrants agree to abide by its official rules. 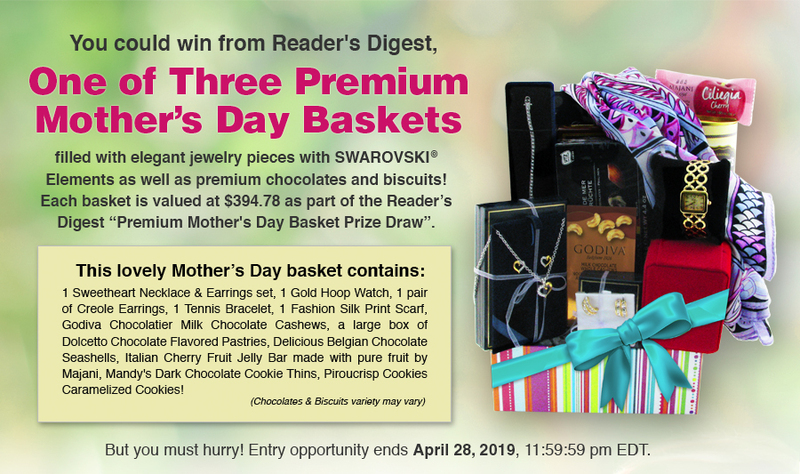 These prize opportunities are valid until April 28, 2019.